Boy do I have a Monday treat for you readers. Today’s musical delicacy comes from the journey of Daniel Sheron and his experiences in Siberia. Inspiration can come from anywhere. Sheron’s came from the backdrop of snow-covered railways and benighted cities. His music tells the stories of those he encountered in Siberia and the changing scenery that composes the country. It is, as he describes, Trans-Siberian Americana, an original genre that combines traditional harmonies withpassionate lyric. With Fleet Foxes-esque harmonies and the folk prowess of a troubadour, Sheron and his band, Balto, put an American spin on the Siberian experience. As the band’s page on Bandcamp.com states, “On December 15, 2010, six people entered a basement in Brooklyn, New York and emerged that night with an album that no one had expected. October’s Road.” And, like the Siberian Husky sled dog that the band is named after, Sheron and his band lead listeners through a triumphant first album, woven with melodic instrumentation, apt lyrics and smooth vocals. 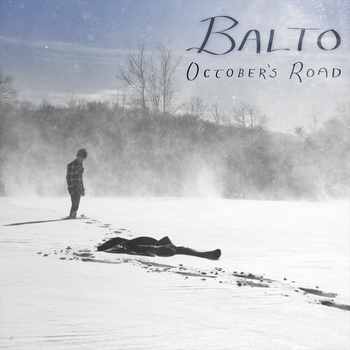 I will profile the first song on the album which is available for free on (http://balto.bandcamp.com/album/octobers-road). The entire album is only $4 and is totally worth the money if you are a fan of Americana/Folk (with a Siberian twist). The opening track is a wonderful example of the concoction that Balto effortlessly creates. The beginning harmony is inviting and cozy. The vocal seeps into strings and then Sheron’s vocal which is sweet and genuine. It is a perfect folk voice. “The Railyard” moves strongly with the backing guitar and other strings. At around 1:40, the harmony is rich and beautiful. The song is five minutes long, but it feels much shorter than that (which is a great thing). Check out the rest of Balto’s debut album by following the link to their Bandcamp above. You can also visit them on Facebook at facebook.com/baltoamerica or an twitter at @BaltoOnTheRails. The band is New York based and their next shows will be on April 5th at Arlene’s Grocery and April 10th at Rockwood.